The issue includes a BioModel’s team article i.e. ‘Magnitude of historical and expected changes of mammals’ natural habitats in Eastern Eurasia based on the EEBIO (GLOBIO) modelling approach. — Prydatko V., Kolomytsev G., Makarenko V. — In 2005-2006 we developed first in Ukraine 65 GISs (ArcMap 9x) based on new experience using remote sensing data (1 km…25 m) of 1993–2005. The set of maps was used for wide analysis of historical and expected expansion of mammals in the post-soviet Eastern Eurasia — EEBIO. These outcomes showed: final prediction-maps displayed changes better if GIS-operators transformed so many opinions of scientists that were possible and took into account diversity of RS and GIS data. Numbers of mistakes in historical textual ‘models’ correlated significantly with size of habitat areas of selected mammals: the bigger area ‘provokes’ more mistakes. 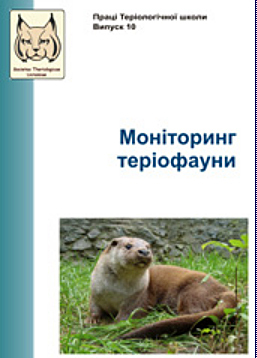 The article contents examples concerning bears (Ursus maritimus, Ursus arctos) and wolf (Canis lupus). Note: list of mammals, with which EEBIO Project dealt in 2007s for started modelling purposes included Alces alces, Allactaga major, Canis aureus, Felis lynx, Felis sylvestris, Lepus timidus, Mustela eversmanni, Mustela putorius, Nyctalus lasiopterus, Nyctalus leisleri, Nyctalus noctula, Oryctolagus cuniculus, Rhi-nolophus hipposideros, Sciurus vulgaris, Spermophilus pygmaeus, Sus scrofa, Ursus arctos, Vormela peregusna etc. See our site-map to read more about follows outcome.